H044. 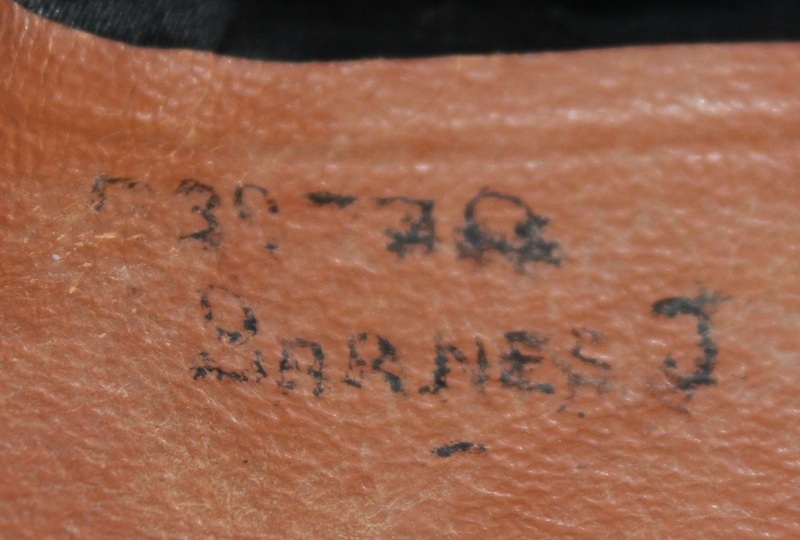 Black cloth liner with plastic cover and makers label. H044. 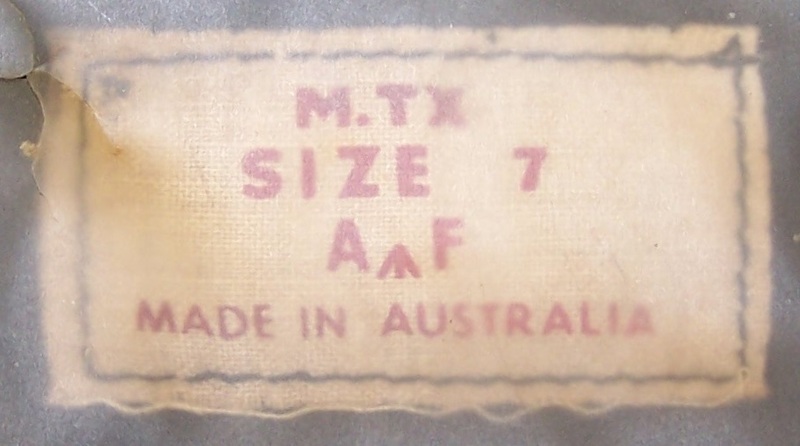 Makers label for the Melbourne Textile Factory (MTX). H047. 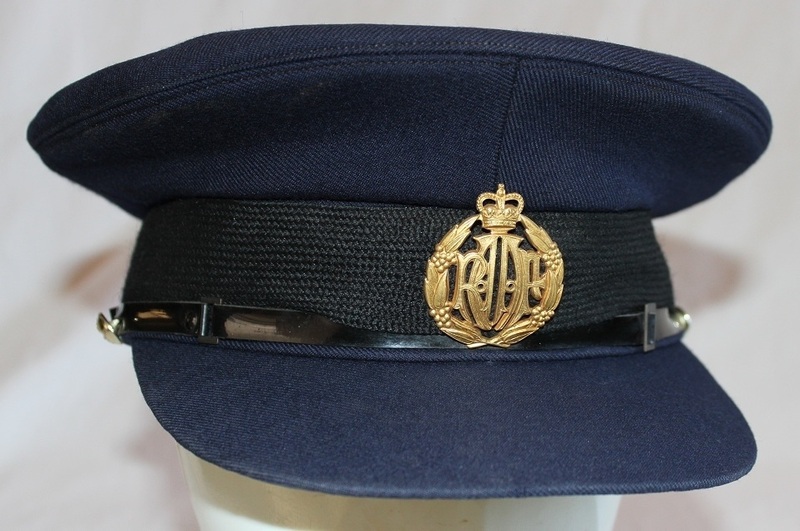 An Officers service dress cap named to O16544 Christensen with a bullion cap badge. 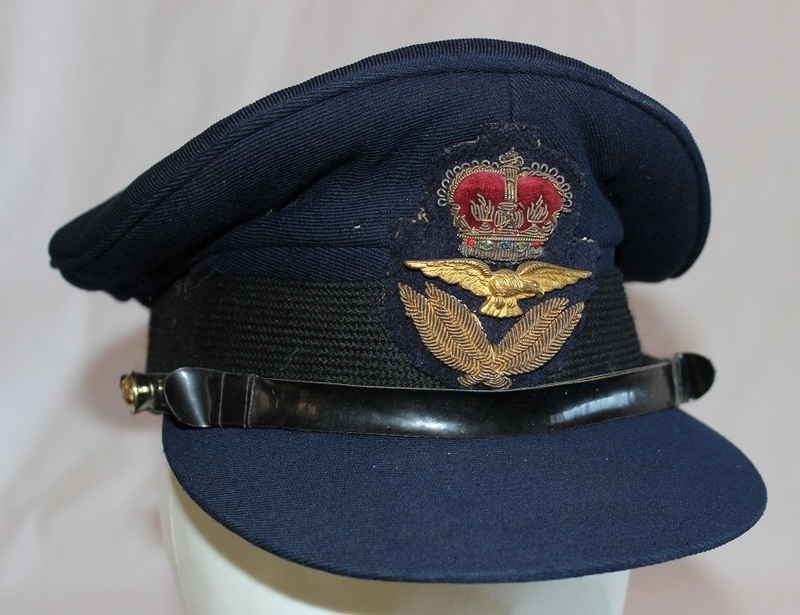 The cap is lined with a black material covered with a thin plastic liner and has a white label sewn to the crown marked MTX A arrow F, the sweatband is also stamped MTX, the underside of the peak is blue cloth and the vinyl chinstrap is held in place by 2 gold plastic RAAF buttons. H047. 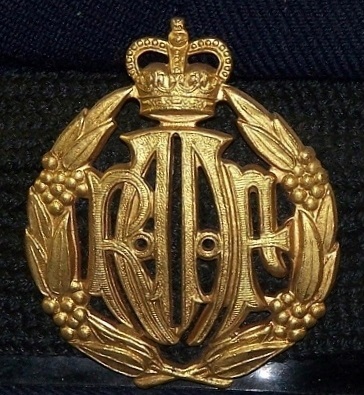 A gold bullion officers cap badge. H047. 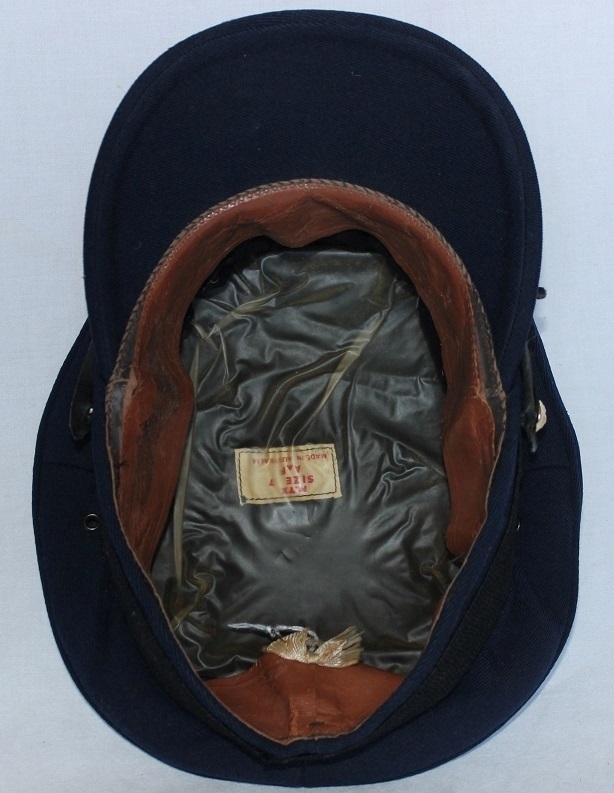 Black cloth liner with plastic cover and makers label. H047. 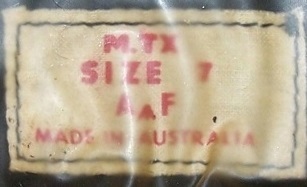 MTX stamped onto sweatband. H047. 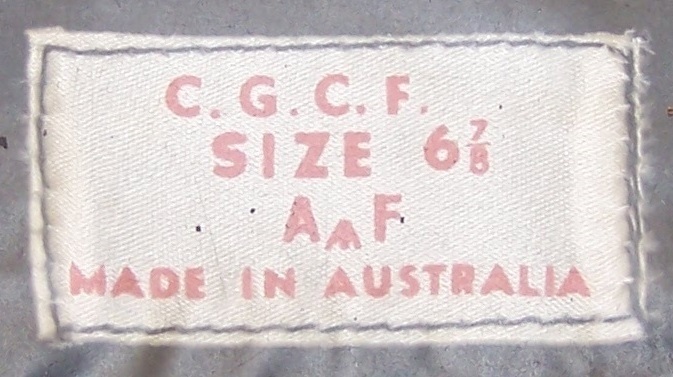 Makers label for the Melbourne Textile Factory (MTX). H047. 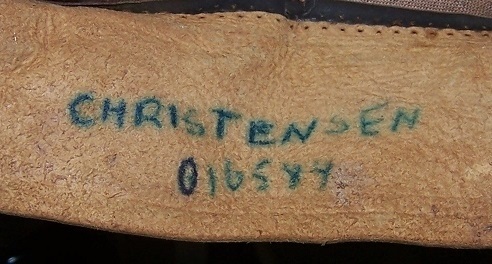 Owners name and number under sweatband. H048. 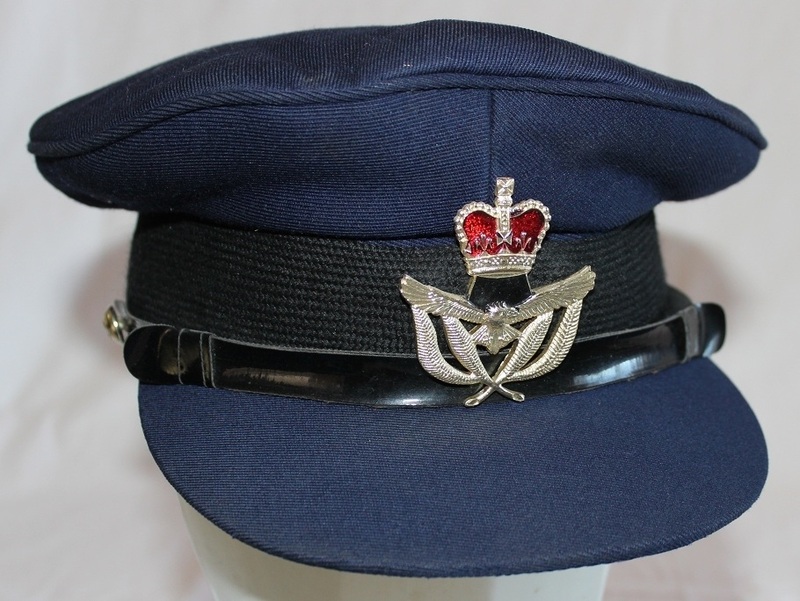 An unnamed Warrant Officers service dress cap with an anodised metal cap badge with the initials R S under the sweatband. 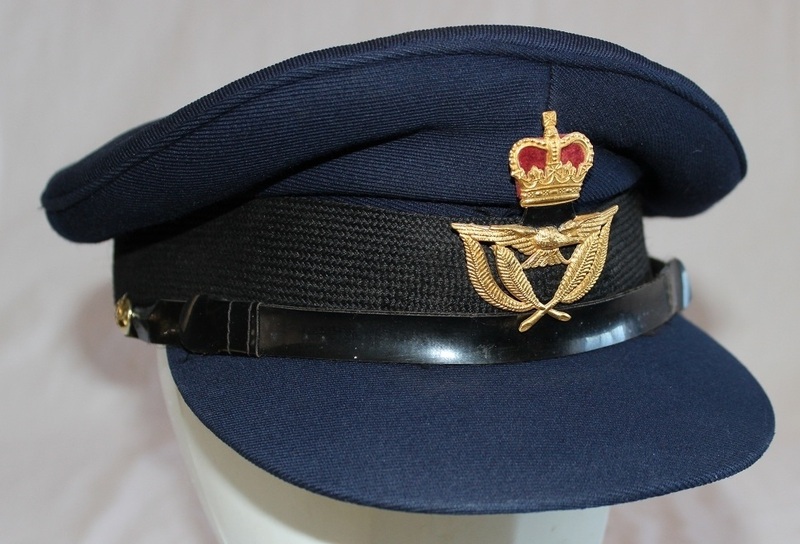 The cap is lined with a black material covered with a thin plastic liner and has a white label sewn to the crown marked C. G. C. F. A arrow F, the underside of the peak is blue cloth and the vinyl chinstrap is held in place by 2 gold plastic RAAF buttons. H048. 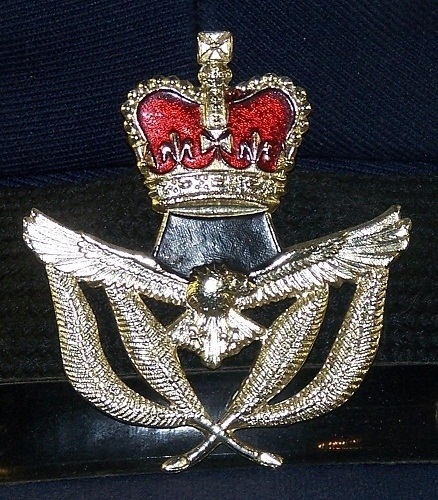 Anodised Warrant Officers cap badge. H048. 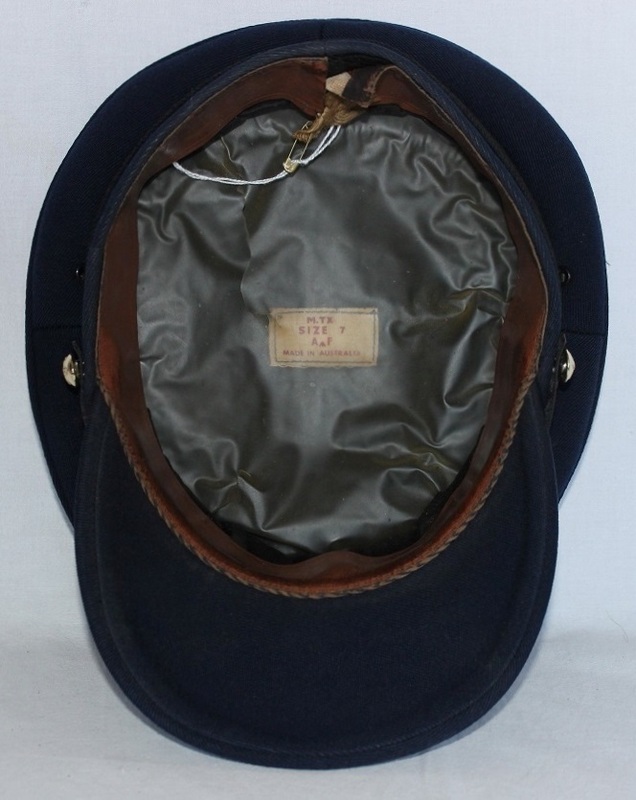 Black cloth liner with plastic cover and makers label. 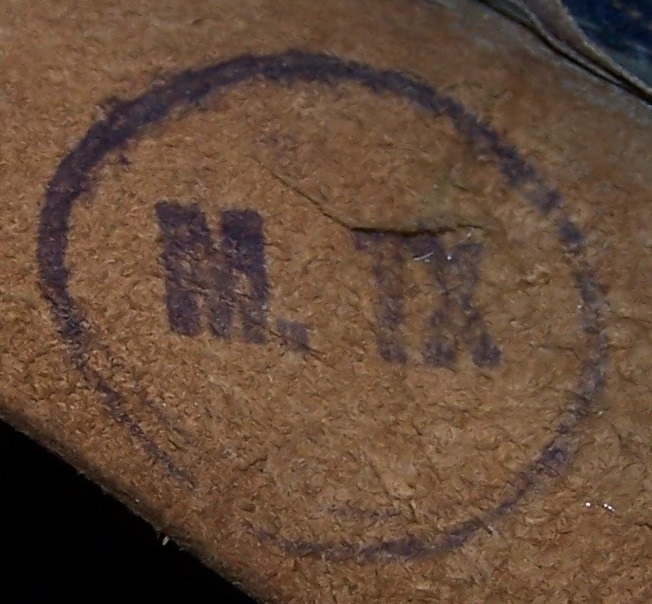 H068. 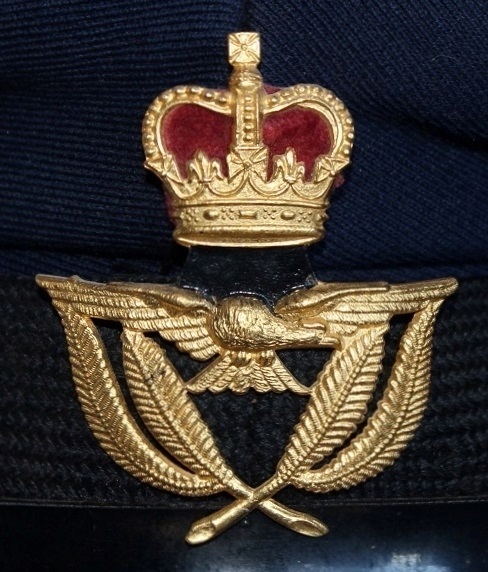 A gilt metal ranks cap badge. 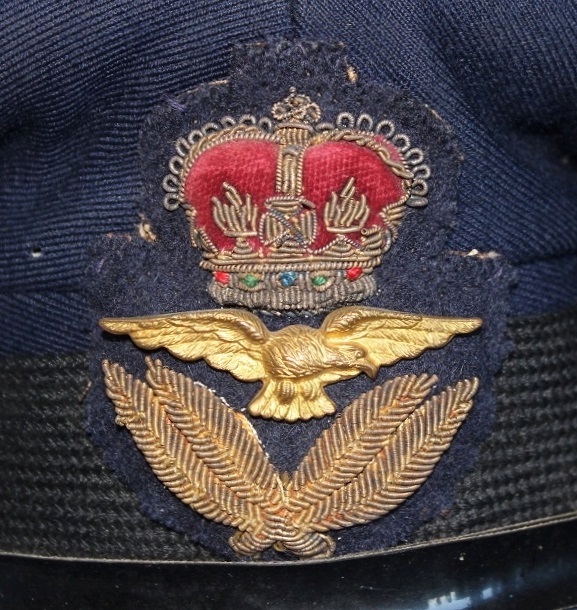 H068. 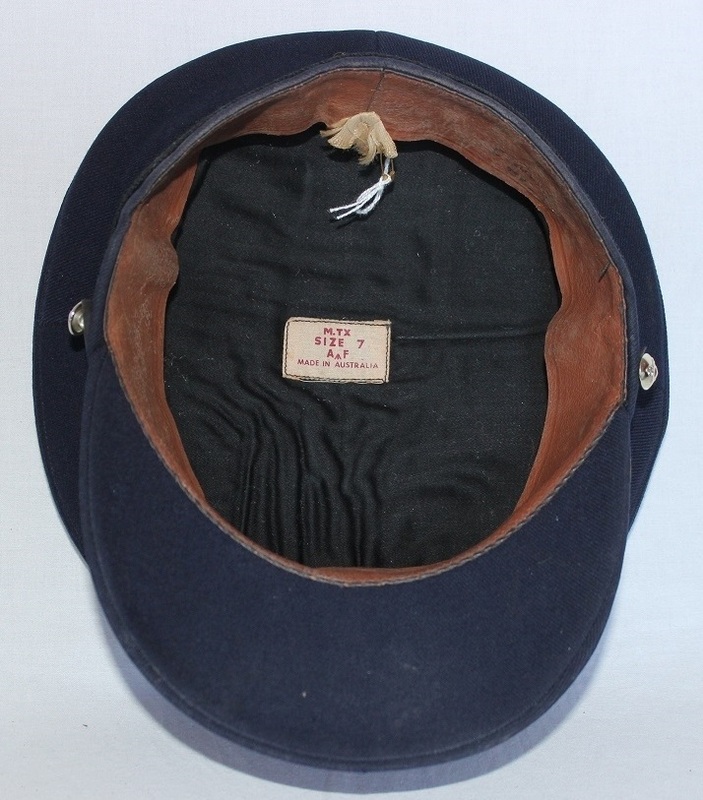 Black cloth liner with makers label. 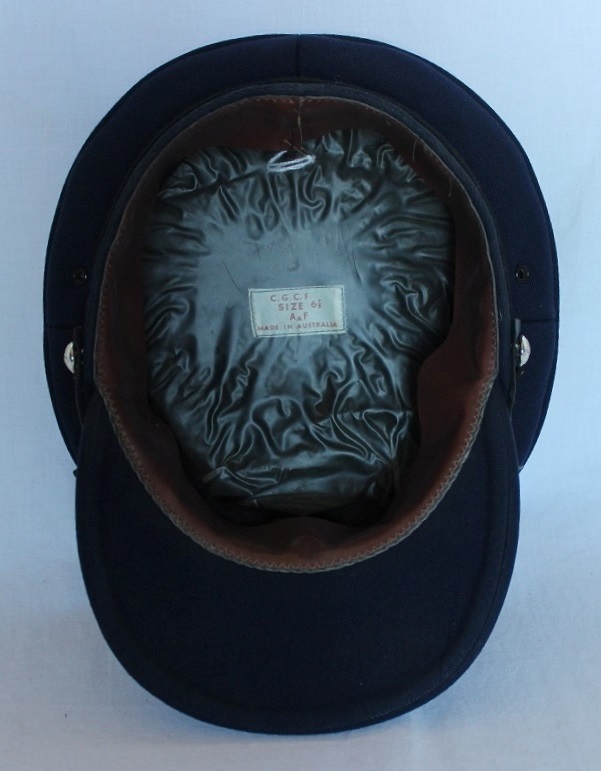 H068. 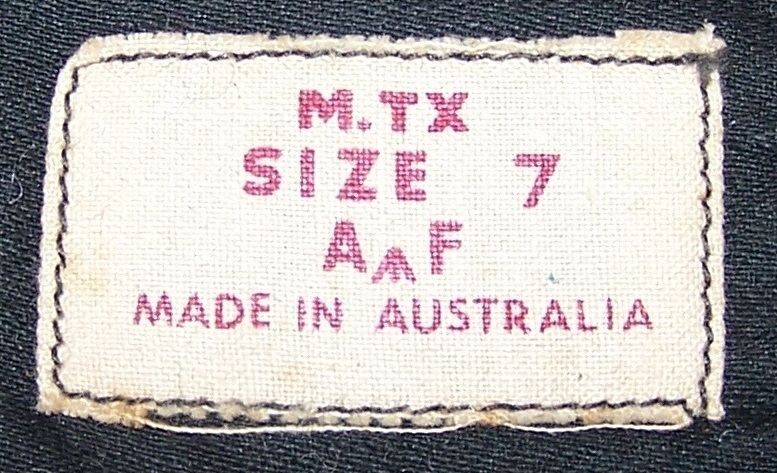 Makers label for the Melbourne Textile Factory (MTX). 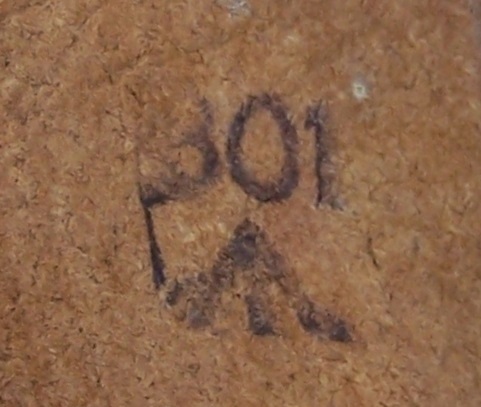 H068. 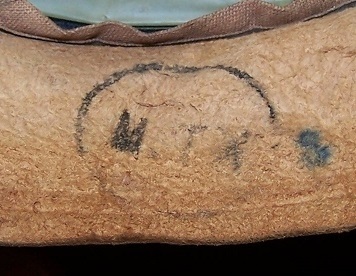 MTX Stamp under sweatband.